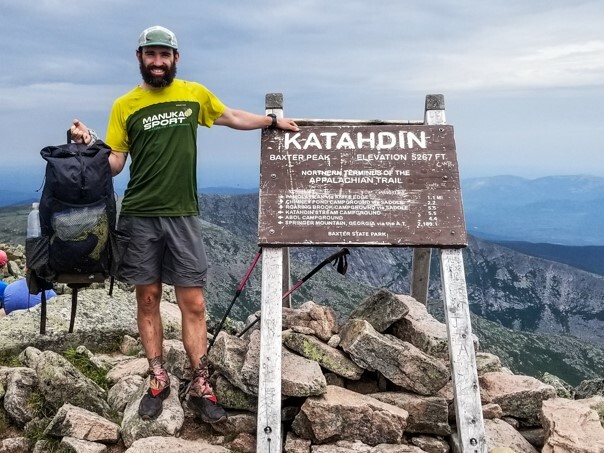 One of the major considerations when contemplating a thru-hike is, “Can I afford it?” Many hikers think they have arranged their finances properly, only to run out of dollars before they run out of miles. For my thru-hike I was determined to ensure that money would not be a limiting factor in my success, so I planned accordingly. There are many articles out there that describe the how-tos of budgeting for a thru-hike and saving money during your adventure. The main point boils down to watching your spending in and around towns. I can tell you from experience that the vortex is strong and it’s very difficult to resist the urge to buy a lot of unnecessary things when you stop to resupply. 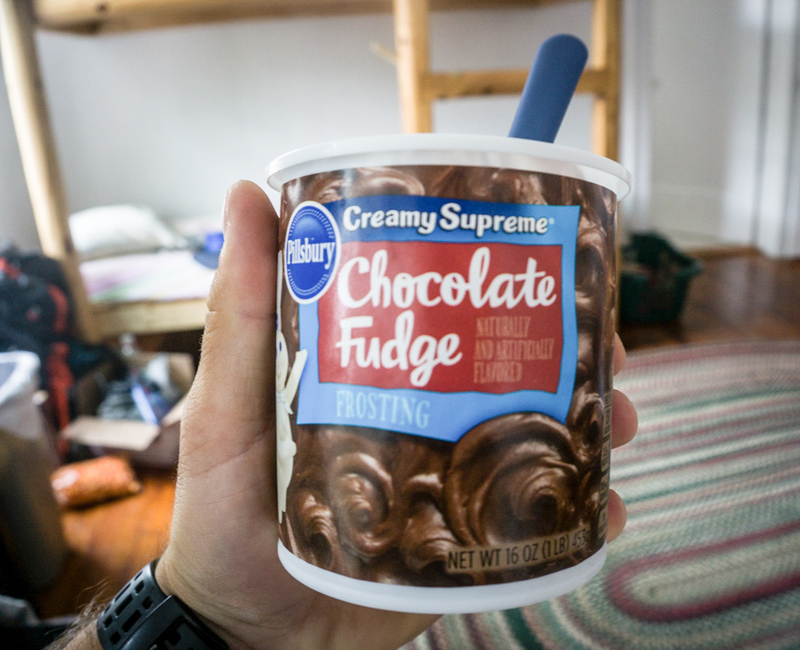 That being said, there should be room in your budget to splurge once in a while – like when I ate an entire tub of chocolate frosting and a large pizza in Waynesboro. The goal of my 2018 thru-hike was to complete the trail in 100 days, not necessarily to do it on a shoestring budget. However, as a money-conscious individual (aka frugal), I attempted to keep my costs reasonable by planning and researching certain aspects of my hike before leaving (such as food, gear, and hotels). 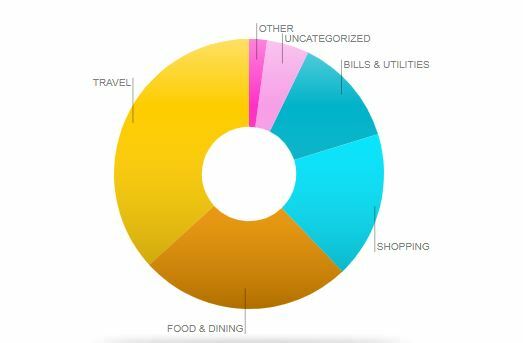 By doing so, I was able to keep my expenses to $2,500 without ever depriving myself of trail experiences like hostels or buffets. Note that the costs below are my on-trail expenses only.They don’t include the resupply boxes I sent (which I estimate cost about $500 to pack and ship) nor my gear. The largest expense on a thru-hike is, undoubtedly, food. For a number of reasons, one of which was cost, I decided to do resupply boxes for a majority of my food. By dehydrating my dinners and buying items in bulk beforehand, I was able to save a ton of dough. Despite the process taking a lot of time, the resupply boxes worked out very well. I estimate that I spent less than $500 on all my food and shipping costs for these boxes, which I think was a great deal. Pro tip: use the USPS Regional “B” Boxes for your resupply – they have almost the same capacity as a Large Flat Rate box but cost half as much to ship!. Resupply boxes be damned, I still had my fair share of trail delicacies. Another strategy I employed to keep my costs down was to have my gear dialed in. By ensuring that I was comfortable with my kit, I didn’t have to make any substitutions during my hike or buy replacements for low-quality gear that went bad. Although I did purchase a few things along the way (shoes, mostly), I didn’t have any catastrophic gear failures thanks to my research and shakedown hikes beforehand. Lastly, I kept my lodging costs as low as possible by using rewards points to pay for hotels. I won’t go too deep on this topic here (I could go all day), but there are lots of opportunities to score free hotel stays along the trail by amassing points for certain hotel alliances and redeeming them for nice rooms. I did this a handful of times and saved over $700 in the process. 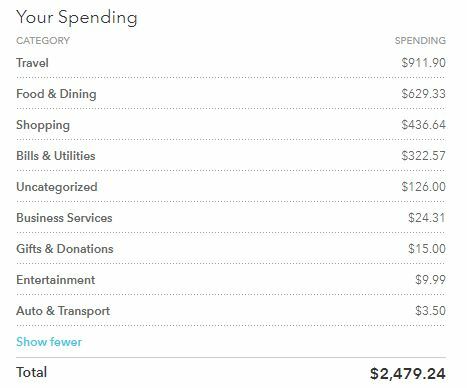 I’ve long been an advocate of tracking one’s expenditures, and I recommend using Mint.com to do so. Mint allows you import transactions from all of your bank accounts, credit cards, and investments to see exactly where your money is going and also has great features for categorizing expenditures. To track my expenses on the trail, I simply created a tag called “AT” and marked every transaction I made during the hike. Once finished, you can view statistics on the transactions with that tag to dive deeper into where your money went. Travel: These were my lodging expenses. As mentioned in the fast facts about my thru-hike, I stayed in 13 hostels and seven hotels during my trip and took all five of my zeros at said establishments. I was able to use points I had saved up to help pay for a couple of the hotels, but the rest were paid with cash and they can really add up. 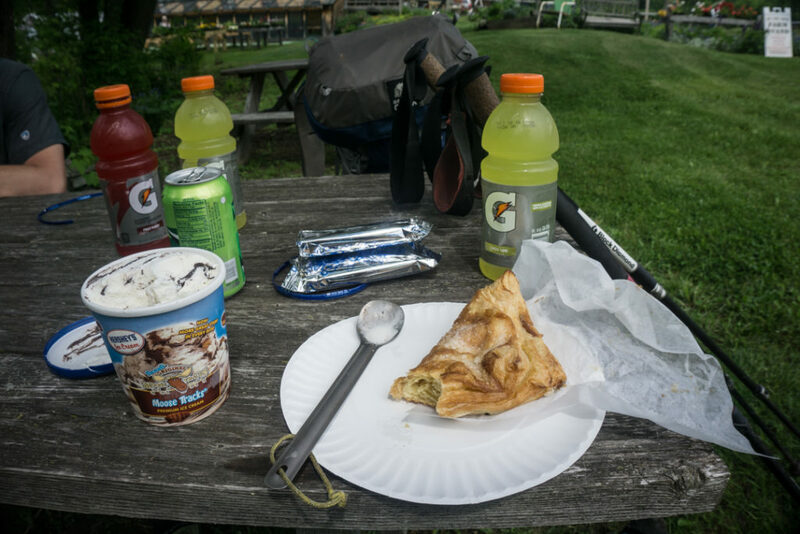 Food and dining: Although I sent resupply boxes to cover the majority of my food needs on the trail, I didn’t skimp when it came to eating in town. I bought lots of meals, pizzas, and just about everything else I could when I had the chance. I also did small resupplies at gas stations or grocery stores a number of times when I was running low or just wanted a snack. The prices at most resupply spots along the trail are quite exorbitant, so I tried to minimize the damage when possible. Shopping: These expenses accounted for the new gear I bought along the trail, which was almost exclusively new shoes. I developed some painful tailor’s bunions along the way and experimented with several pairs of shoes in hopes of alleviating the pain (which failed), and thus went through more pairs than I would have liked. I also ordered a few things from Amazon, like a bug net and new socks, which I had shipped to my next hostel. Bills and utilities: The great thing about being on the trail is that you aren’t racking up any bills, right? Sort of. The two items I still had to pay for out on the trail were the monthly charges for my cell phone and Delorme InReach. Combined, they cost about $100 per month which I felt was reasonable for the features I had access to during my hike. Uncategorized: This was all the cash I took out of ATMs along the way. I’m not sure why it’s labeled as uncategorized, but when I dove deeper I found out what they were from. Some hostels don’t take credit cards (although most do at this point), so I needed to have a little cash on me. I never needed more than $40 at any time, though. Business services: This includes the shipping cost I paid to send some clothes home from Harpers Ferry, a pair of shoes home from PA, and some postcards I bought at the ATC. Gifts and donations: After finishing the trail, I had some thank-you cards printed and I sent them to hostels and people who helped me along the way. It was the least I could do for all the kindness I experienced. Entertainment: This charge was for a month of Spotify Premium. I got sick of the music on my phone pretty quickly, so I signed up for Spotify and got a month of their premium service for free before having to pay for the subscription. It was nice to have out there, but I canceled it as soon as I finished. Auto and transport: This expense was for my MARTA ticket to the North Springs station in Atlanta the day before I started my hike. It gets it own category. 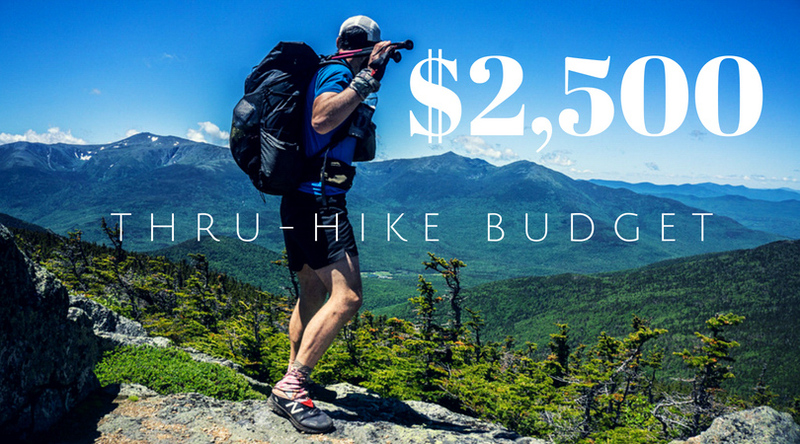 There’s no right or wrong way to budget for a thru-hike (they call it personal finance for a reason). You can certainly complete the trail for less, although it seems that most spend much more. For my hike, I wanted to do as much work cutting costs upfront so that I wouldn’t have to worry about it on the trail. By sending resupply boxes, having my gear dialed in, and choosing lodging wisely, I was able to easily and thoughtlessly keep my expenditures reasonable without feeling deprived of anything. I hope this helps others to realize that you can have an awesome hike without breaking the bank by thinking a little differently and doing more work upfront. Happy trails and heavy pockets.